We have NodeUnit and Mocha both running against our back-end tests. 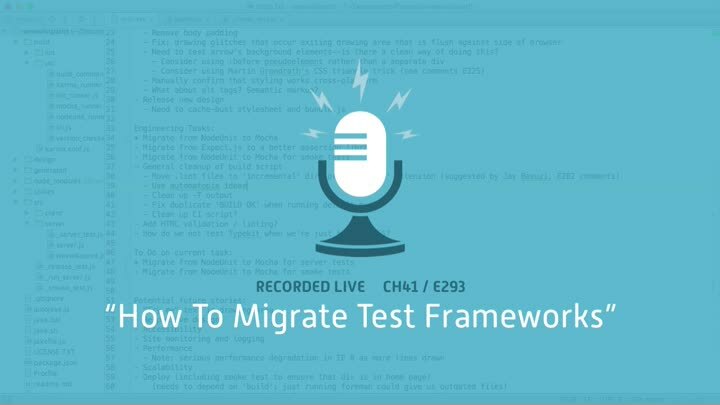 Now we need migrate our tests off of NodeUnit and onto Mocha. It’s more straightforward than it sounds. We discuss the Lava Flow anti-pattern, how to avoid it (and why you might not want to), migrate the code, and create a wrapper for our assertion library too.